Well, I’ve been out of town for the week, but I’m back and ready to sort through the mail and try to bring the lawn back from the dead! For a couple of days we were in Portland and as much as I love the Rose City, it’s about to reach a super-saturation point of hipness. 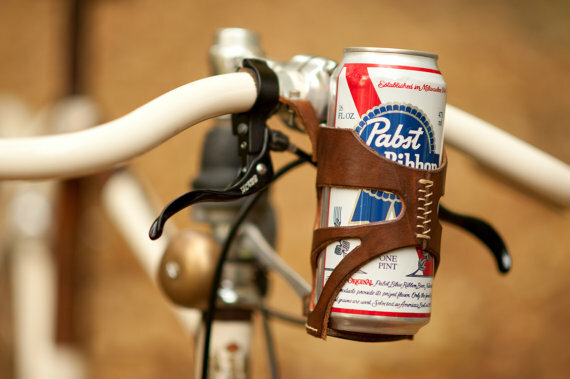 You know, historians point to the arrival of custom PBR holders for retro bikes as the moment Athens began to decline. We went to our favorite coffee place, Stumptown next to the Ace Hotel (seriously – their lattes will make you believe in a higher power), and noticed people kept getting small glasses of soda water with their coffees. Finally, my wife asked one of the baristas what was up. Is everyone juuuuust a tiny bit thirsty? No, he explained. After the first few sips of coffee, your taste buds get used to the flavor and you lose that initial burst of intensity. The soda water is so you can periodically cleanse your palate as you drink your latte. On one hand, that actually makes sense. It’s the same thinking as portion-size in high-end cuisine or wine pairings. On the other hand, OH COME ON. This is why people think we’re ridiculous in the Pacific Northwest, Portland. Right there. This level of hipsterdom cannot be sustained. It just can’t. And it’s a shame because Portland is a great city, but any city that becomes that fashionable eventually becomes passé, and that will be very sad. What will never get sad or passé or ridiculous will be your responses to the Weekly Question of the Week! Today we have the winner from last week’s caption contest and the finalists for this week. 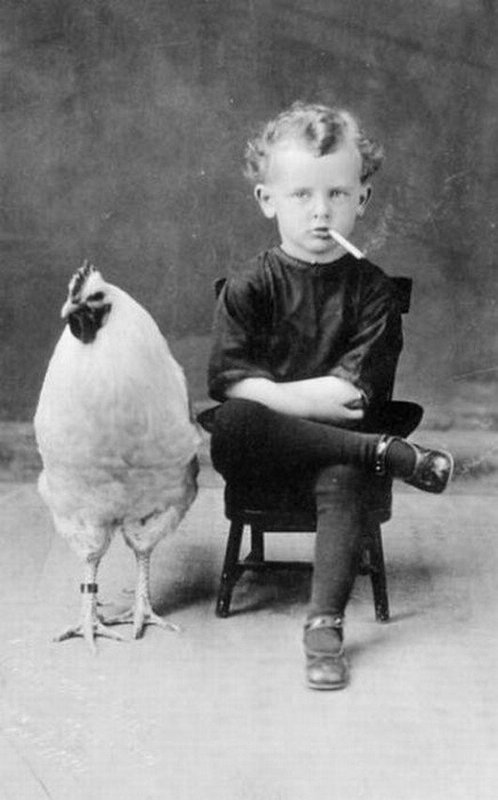 First the winner of the caption contest for the picture of the big chicken and the angry kid. There was a whole lot of love for the entry submitted by… my dad! NO, not that! I meant… ooh, that looks really good. What was I accusing you of…? I laughed at his caption before I even saw who wrote it. He’s my dad and a very nice man. He’s getting a little older, but hey, you go ahead and pick on an aging gentleman. See? Pretty good, right? Unfortunately, he doesn’t really do any sort of online art or blogging or anything, so I guess he’ll just be my Featured Human of the Week! He loves getting to know people, so just go ahead and drop on by the house. Finally then, there was the question of what book or play or movie you’d like to see redone in a new setting – be sure to vote (I’ve changed the settings, so now you can vote once per day), and check back later this week. And be sure to tune in tomorrow when the Weekly Question of the Week goes in a totally bizarre new direction! You may want some soda water to cleanse your palate. Why did the Hipster burn his tongue on his latte? Hey, congratulations to the Byronic Dad! I’ll definitely drop by later – what time is dinner? Oh, whenever. Just pop in and go through the fridge. PS: I hope they weren’t saving those steaks for anything special. Trendy. Ha. I’ve got one for ya. A certain relative of mine, a twenty-something, vegetarian. All fine. HOWEVER, she won’t even dine at a restaurant that serves meat unless she’s called ahead and made sure it is free-range. Rather over-the-top eh? Shhh….I’m not online today. To do so would be a crime against Nature, which has supplied us here in the mid-Atlantic with an absolutely gorgeous Saturday. But my Hipster Signal went off and I sensed that somewhere on the Internet, someone was saying something important. Lo and behold, here is your post,full of comment-worthy gems. Happy Birthday, Father Byronic! I voted for that caption, completely unaware that nominalism was at play. But I’m fine with that. It’s because I threw the hipster-signal in to the sky – the searchlight with the boxy-rimmed glasses image. Congrats to B-Dad! Definitely a worthy caption champion (hmm, is that like conjunction-junction?). I will begin drawing the cartoon immediately. Hm… 28-32 frames per second, and probably a 3 minute cartoon… Check back in 10-15 years. If I’m going to lose to someone in the caption contest, I’m glad it was the Byronic Dad. On the hipster note, if coffee follows form with beer this will all be ancient history. If you recall, hipsters – who helped build micro-brewing into a viable industry, turned their tattooed backs on organic malted barley and dry-hopped India Pale Ales and made Pabst Blue Ribbon the beer of choice. I think it’s only a matter of time before they decide that triple foam, part skim mocha latte’s are bourgeois and start drinking Chock Full O’ Nuts. Then again, I couldn’t be less hip…ster. I agree. They leave some great beer in their wake, so all in all it’s to the benefit of all, but they do move like locusts. Although I’d take it over the opposite extreme. Hipster areas get more interesting events and people. Oh no! You mean I’ve been just sitting there drinking my coffee like a normal person without cleansing my palate? Man, I feel like all my hipster cred has gone out the window. I might as well just take off my Buddy Holly glasses, skinny jeans and ironic message T-shirt right now! What trendy persona can I take on now? Hmmm, I guess I need to move on to steampunk now. Where’s my corset and bustle??? I tried on some jeans the other day not realizing they were skinny jeans. The results were upsetting on many levels. I hope they were stretch denim…. Oh, brother. That’s WAY worse than getting a parking discount for driving a hybrid. And oh, father! Congrats to B-Dad (and an early happy birthday – I’ll be by with carrot cake)! 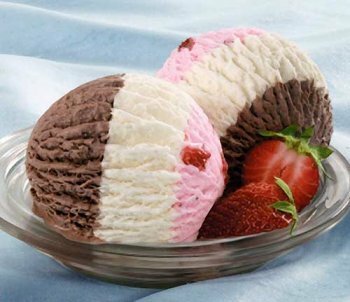 At first I thought that picture of the ice cream might mean you were asking us to name our ice cream flavors for the next question. Ahem. But I am looking forward to what you’ve got up your sleeve for next week! And the nepotism wordplay there is really making me giggle. I didn’t even tell you about the solar-powered recycle bins. Wait. What? What does that even MEAN? What does the sun power on a BIN? Congratulations to your dad. It’s well deserved. Funny about the soda water. Yeah, like oh c’mon! I’ve never been to Portland and I’ve always wanted to check it out. I guess I better get there before it’s passé. How much time do I left do you think? A couple of years? Portland’s pretty great. Well, not the weather, but other than that it’s a great city. You’ve probably got a couple years. Anything with an all Amish cast is worth a watch in my book! And Congrats to your dad. I laughed at that one, too. Way to go, Mr. B. Senior. Every movie with Amish people in it is a huge success. There’s Witness, and, um… let’s see… did I already say Witness? That’s why it’s high time for another! I think we are all becoming Byronic Dadomaniacs! Nice job. Okay I have to give it up to your Dad, that’s a great caption. Well deserved!! It’s impossible for me to look at a picture of a rooster/chicken (?) next to a smoking kid and not vote for an Amish Pulp Fiction. Your dad’s caption was hilarious, congrats to B-Dad! I laughed so hard at your OH COME ON comment. My older brother JUST moved to Maine after living in Portland, Oregon for 12 years. The first thing he asked me? where’s the nearest Starbucks? When I told him it was in the Target down the road, he just scoffed. Oh no, no, no. It has to be a REAL Starbucks with highly trained baristas. Then he pulled out a little Starbucks instant coffee pouch and made his own coffee at my house because he couldn’t bear to bring himself to stoop so low as to drink fake Starbucks coffee for even one day. He is in for a rude awakening living in Maine where we reheat day old Maxwell House in the microwave. I loved your Dad’s caption – Congratulations to B-paternal unit. And I am definitely getting one of those beer holders for my 40 year old bike. Definitely. I was out all day! Wow! Your dad rules! Go Byronic Dad! Great quote. Tell him I’ll be stopping by tomorrow for Sunday dinner. I hoping for pot roast and mashed potatoes…Happy almost Birthday! Double Wow! I made the cut! Whew! It’s been a while. I better dust off my signs and start passing out buttons to my friends and tell them to get out and vote! Is being a hipster like the 1960 beatnik only with expensive duds? Looks like the T-800 Byronic Man can hold his own against the newer T-1000 prototype. So that’s the chicken speaking of the kid or the other way around?